Geoff Krall thinks that’s a problem, and he’s devoted his career to fixing it. 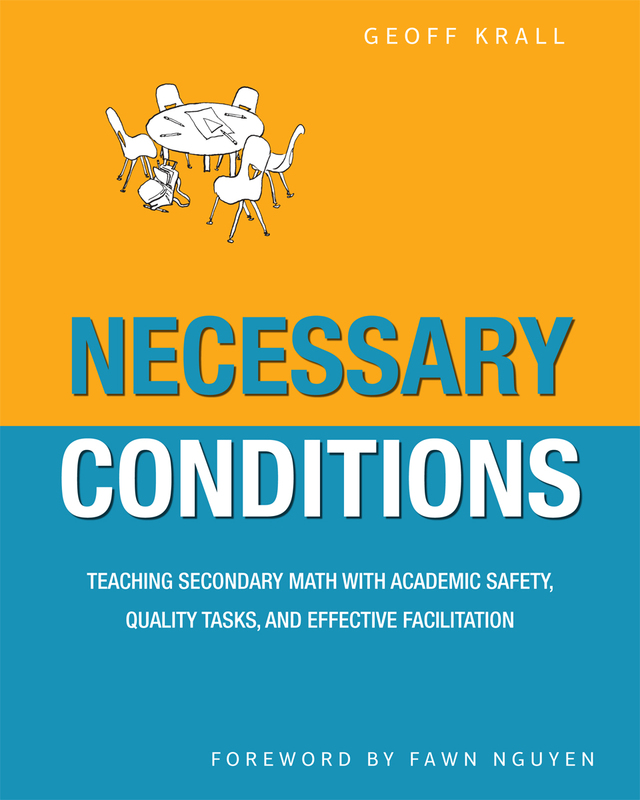 Necessary Conditions posits for the first time a coherent approach to secondary math pedagogy. Krall identifies three essential elements that will open the door to math for all of your students: academic safety, quality tasks, and effective facilitation. implement structures, routines, and facilitation that result in high-quality learning. Geoff Krall is a math coach for the New Tech Network, supporting teachers and administrators. He taught high school math in Texas, the last few years of which were under the New Tech model, which emphasizes inquiry, collaboration, communication, and real-world connections.